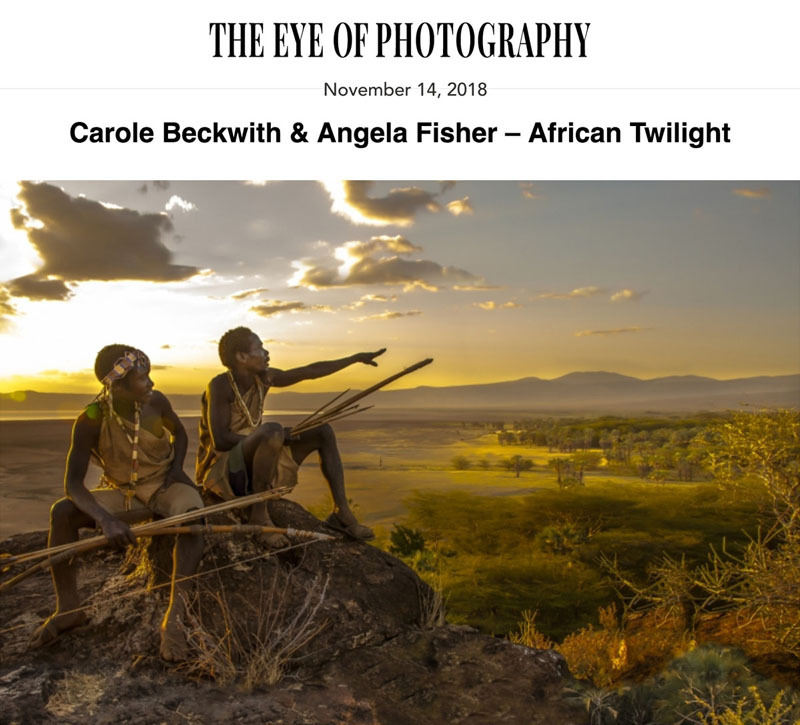 their new 2-volume book, in The Eye of Photography, 11/14/18. Lanza Q: "Your color photography is vibrant, often taken in difficult situations. How do you produce images of this quality?" Angela and Carol: "We shot film until 2004,. We really loved film, it was with great difficulty we switched over to digital. We learned to carry film in Africa, and always wrap it in sleeping bags so that film never gets overheated. We used Fuji Velvia film after first starting with Kodachrome. When we got home to London we would clip test two or three frames of each roll so we knew if we should to push or pull the remainder of the film. look natural as possible in the available light. We have photographed all our books in color. When we moved to digital we made sure it was corrected to show exactly what was seen."